DW’s English channel will be available to 1.25 million households in Bangladesh after 30 new contracts were successfully negotiated with cable networks at the Cable TV Equipments Traders & Manufacturers Association (CTMA) trade fair in Calcutta. 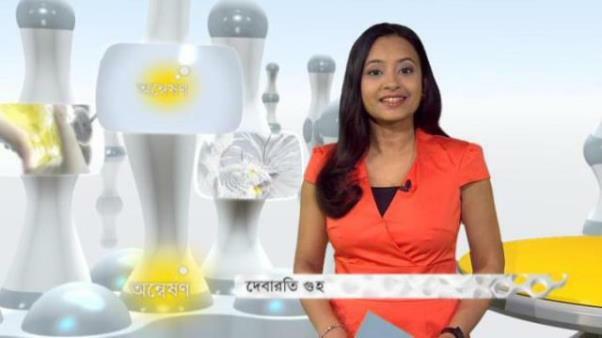 Additionally, RTV, Bangladesh’s private broadcaster with the widest nationawide coverage at 42 million households, is now showing DW’s Bengali science program Onneshon. The Chinese website Tencent is showing 150 locally adapted episodes of Euromaxx. The adaptation was accomplished in cooperation with China DTV. In November 2016, content on Tencent received 118 million clicks. A new DW partner in Pakistan, ATV, is broadcasting DW’s Urdu magazine Sawal. ATV is one of the country’s most-popular television channels, providing audiences with a full range of programming including news broadcasts, entertainment and educational programming. A weekly segment from DW’s Urdu department will also be included. Thanks to a new partnership with Amazon, news content in English and German from DW is now available on the new class of devices using Amazon’s Alexa voice technology, which include Echo and Echo Dot. DW content will be read aloud by the device. DW is one of the first broadcasters to make use of the latest in OTT services from Opera. In selecting Opera TV Snap for broadcasters, DW will leverage the latest version to enable users to access multilingual DW live programming and on-demand content, all from the comfort of their sofas. Viewers can access these services through the Opera TV Store app platform, available on tens of millions of devices from over 15 global manufacturers. 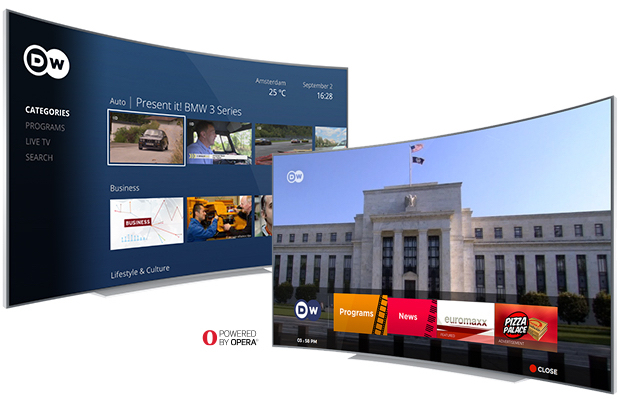 Opera TV Snap providea broadcasters with expanded OTT capabilities on Smart TVs, including a ready-to-deploy Hybrid Broadcast Broadband TV (HbbTV) solution to drive seamless interactivity on linear TV. “DW is committed to bring engaging content to our viewers. We’re excited to upgrade our Smart TV offering by utilizing the latest version of Opera TV Snap. We’ve found this path to be convenient in reaching Smart TV and HbbTV audiences,” says Petra Schneider, Director of Sales and Distribution at DW. Portuguese content from DW is now available on smart TVs, tablets and smartphones in Brazil via Moony, the new streaming platform from Samsung available for download on the Google Play Store or Galaxy Apps. DW has an exclusive place among 40 content providers that are on board for the roll out of the service. Moony users in Brazil have instant access to the latest episodes of popular DW shows like Futurando and Camarote.21 along with Portuguese content from DW Transtel including EinSteinchen ,Ecopia or From Tierra del Fuego to Tijuana. DW has a new partner in Sri Lanka. The sports, lifestyle and business channel Carlton Sports Network (CSN) has aquired four DW shows including Drive it and In Good Shape. CSN reaches an estimated 2.5 million households in Sri Lanka. DW’s Pakistani partner ATV is now broadcasting a DW news bulletin during prime time. The channel is the largest private television network in Pakistan, serving all major cities and commercial centers.